Cloud9 is having a year-long challenge to create quilt block designs using their new line of Cirrus solids. I am so thrilled that they picked my Twirling Geese design for March! 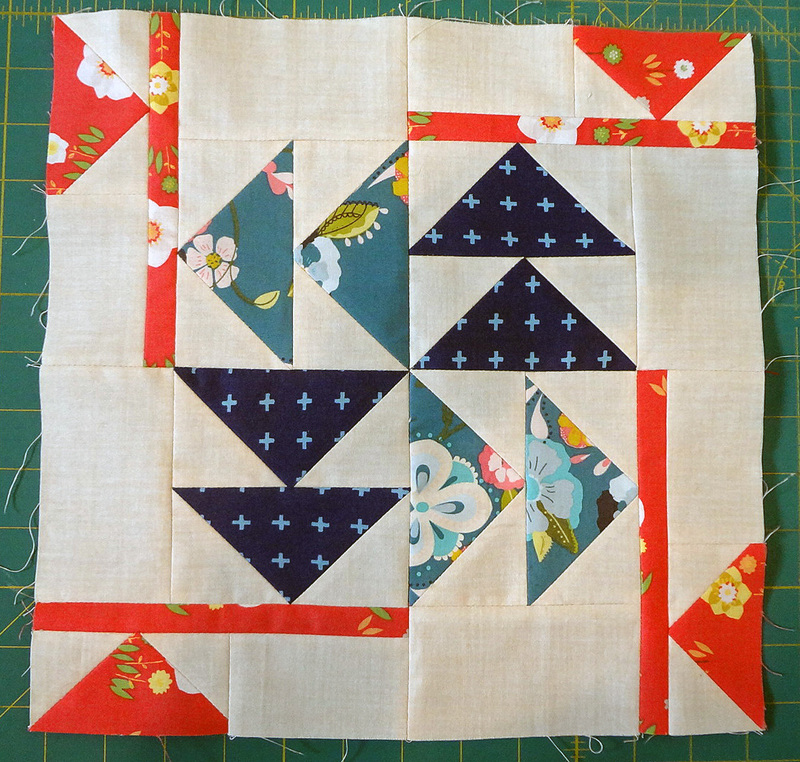 Here’s the test block I made from my stash in the Nautilus color way. Head over to the Cloud9 blog to download the pattern! This entry was posted in Challenges and Contests, Published and tagged BOM, Challenge, Cirrus Solids, Cloud9, Design. Bookmark the permalink. Love this block! Especially on point.